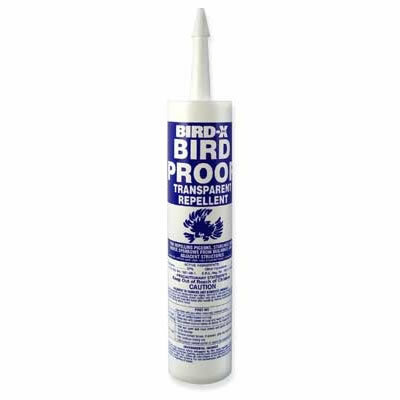 Bird repellents come in two formats, repellent-liquid and repellent-gel. Bird Repellent Liquids are either sprayed on to a surface using a pump sprayer or painted on using a brush or roller to create a tacky, "wet-tar" like surface, on which the birds don't like landing. Contact gels require the bird to make contact with the gel before being repelled. Visual / olfactory gels work on the birds senses of sight, smell and taste to repel them, sometimes from a considerable distance and are considered superior to contact gels. Gels are supplied in either cartridges designed for use in a cartridge gun (sold separately) or in pre-filled dishes. Gels are either applied in parallel beads or in proprietary dishes depending on the manufacturer and the mode of repelling action.